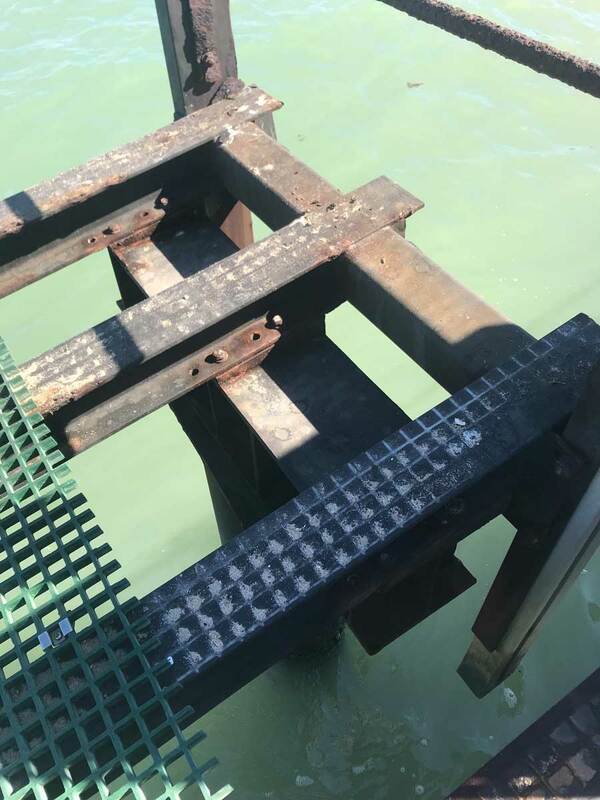 Mandurah Jetty Construction was contracted to undertake the repairs to Bundegi boat ramp by the Shire of Exmouth. 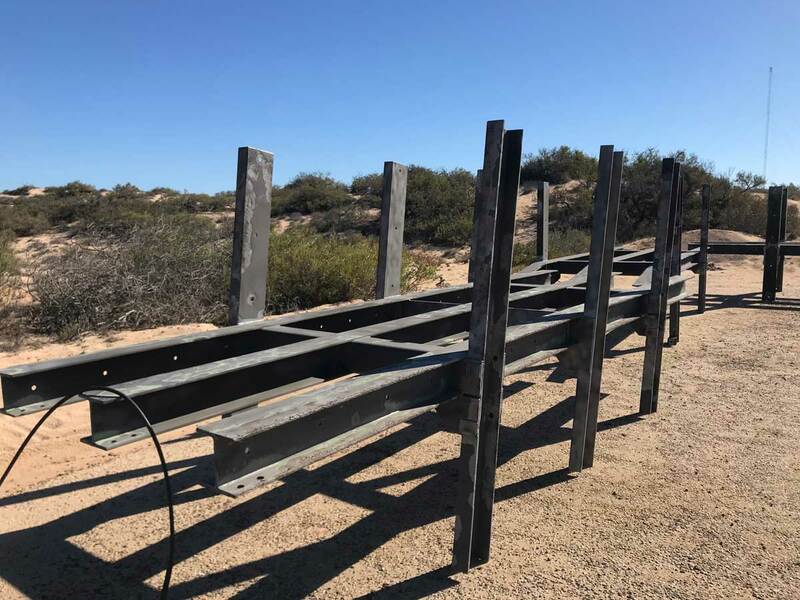 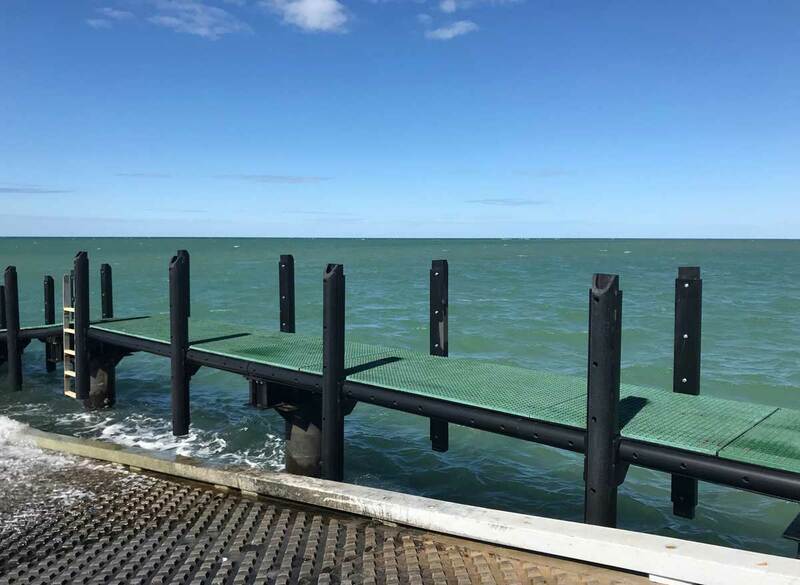 This project involved removing the boat ramp walkway for sandblasting off site to remove existing rust, then recoated using a marine grade 2 part paint to prolong the life of the walkway and prevent future rust. 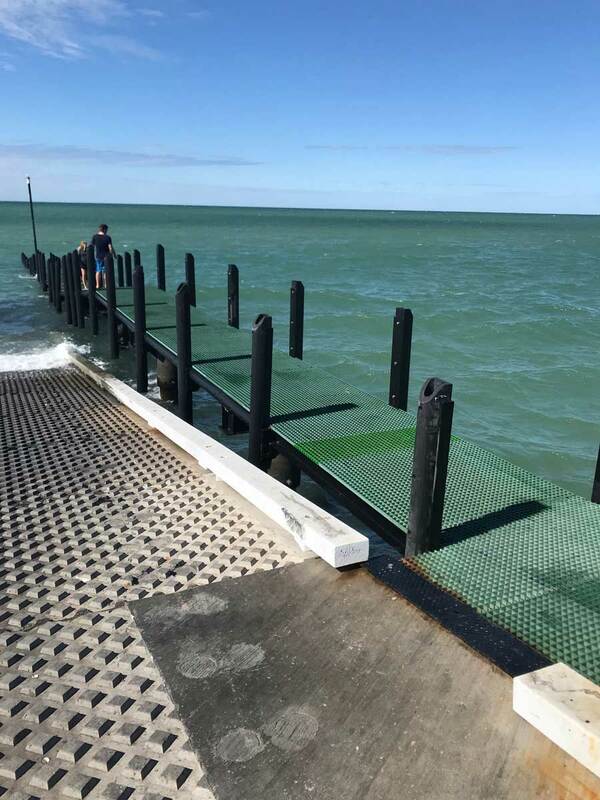 Mandurah Jetty Construction has then installed 150mm black D Rubber to both sides of the walkway to protect boats when launching. 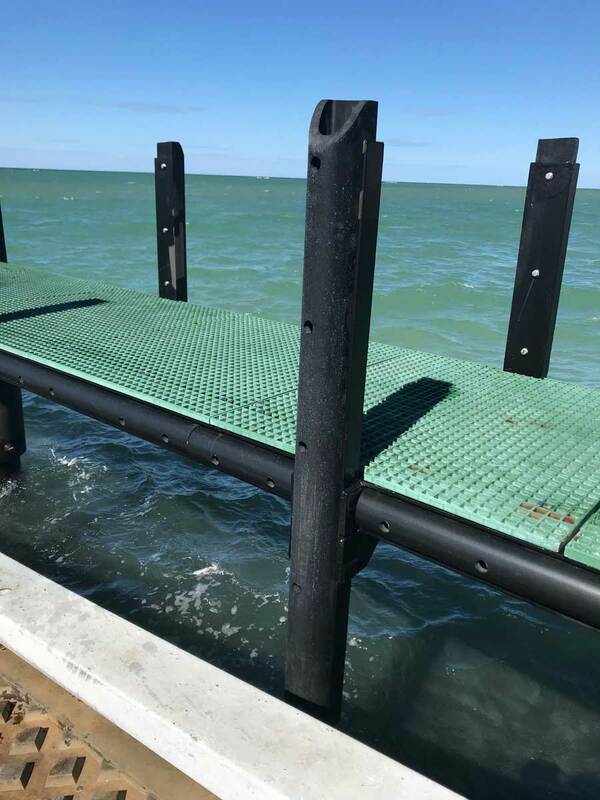 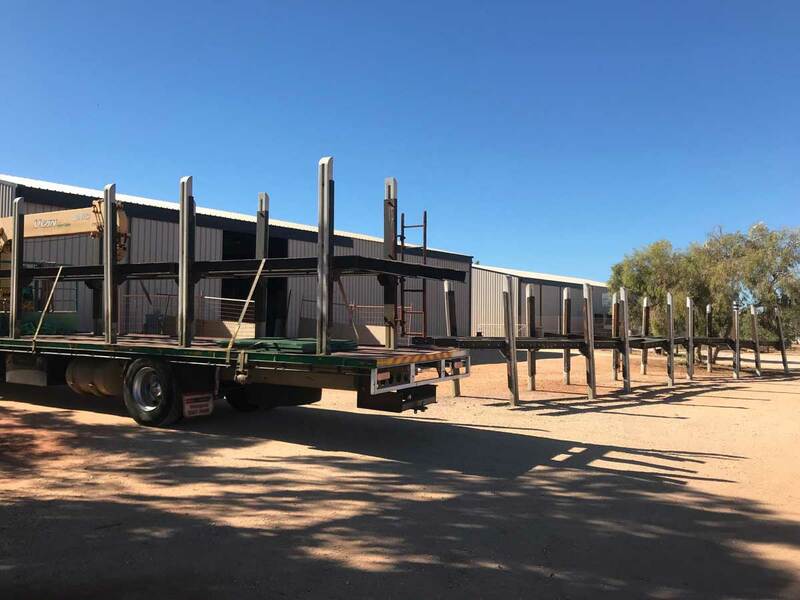 • MJC’s own D Rubber design was sourced and designed to suit Bundegi Boat Ramp. 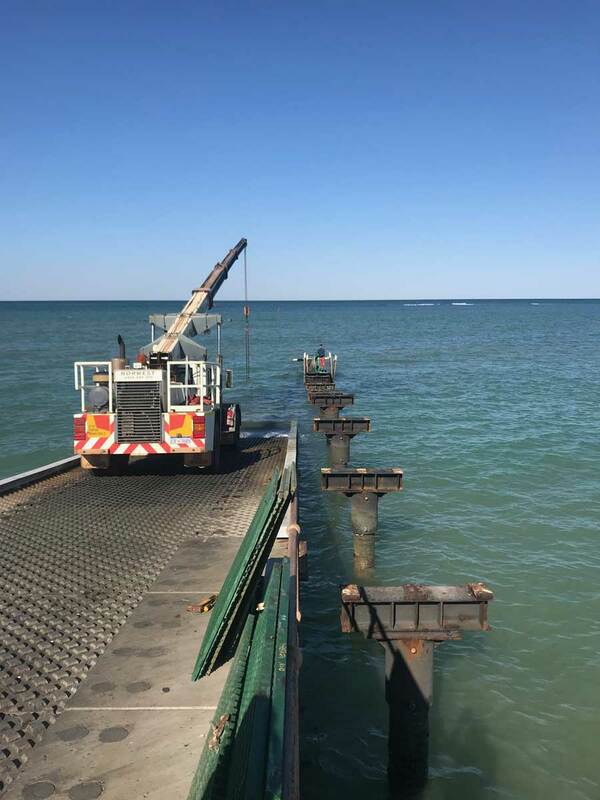 Work in an area with high environmental changes such as tidal movement and strong winds affecting the safety of work conditions. 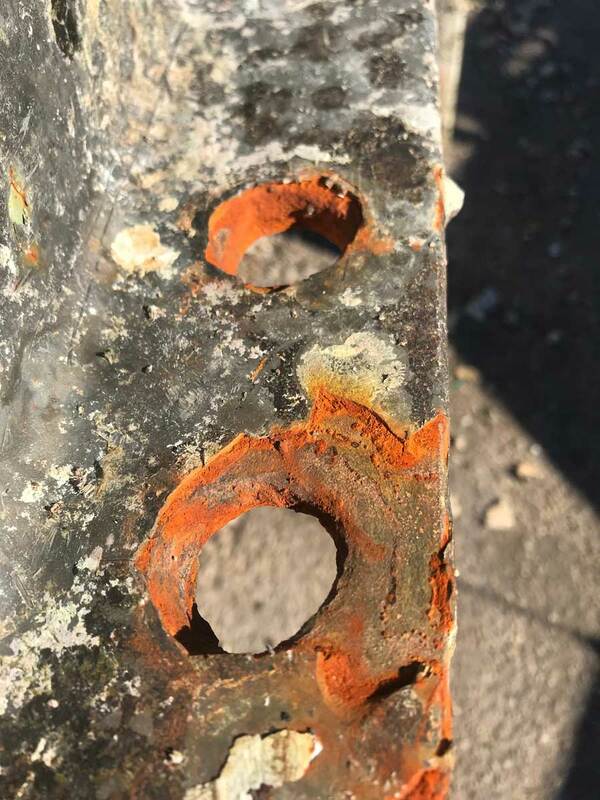 Please click on image to scroll through gallery.